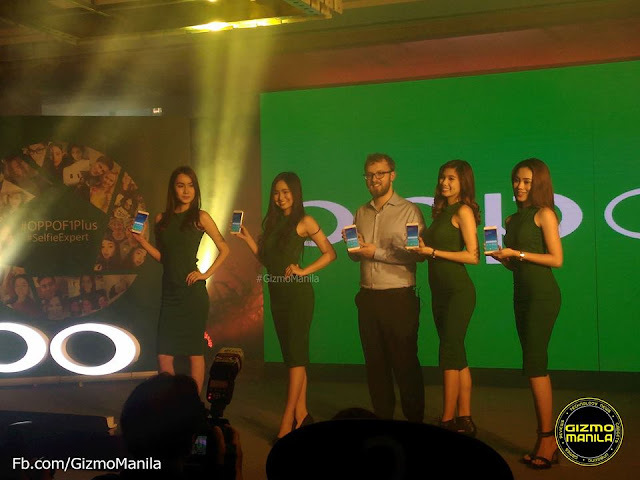 Oppo Philippines officially release the Oppo F1 Plus smartphone, last April 16 at Shangri-la BGC. It is the second device after the successful launch of Oppo F1 in the camera-centric F series.. The F1 Plus main feature is its 16 Megapixel front-facing Hi-Light Camera that captures clear, vivid photos in any lightning conditions. It is 4x more sensitive than standard cameras and also twice the dynamic range of cameras w/o the Hi-Light Technology. 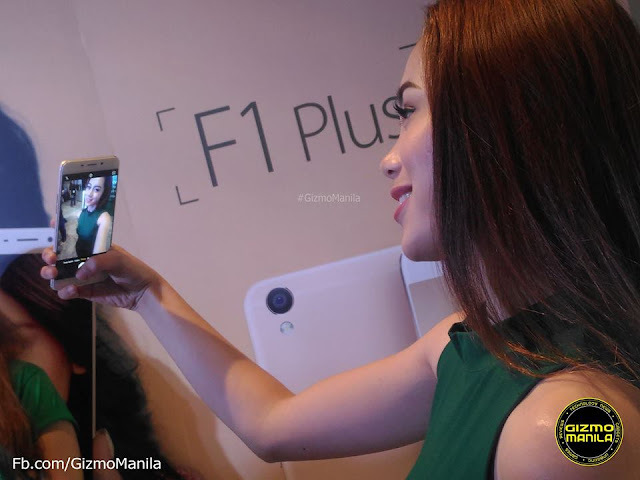 The Oppo F1 Plus is available at P21,990 and its available for pre-order nationwide starting April 16 to April 29. 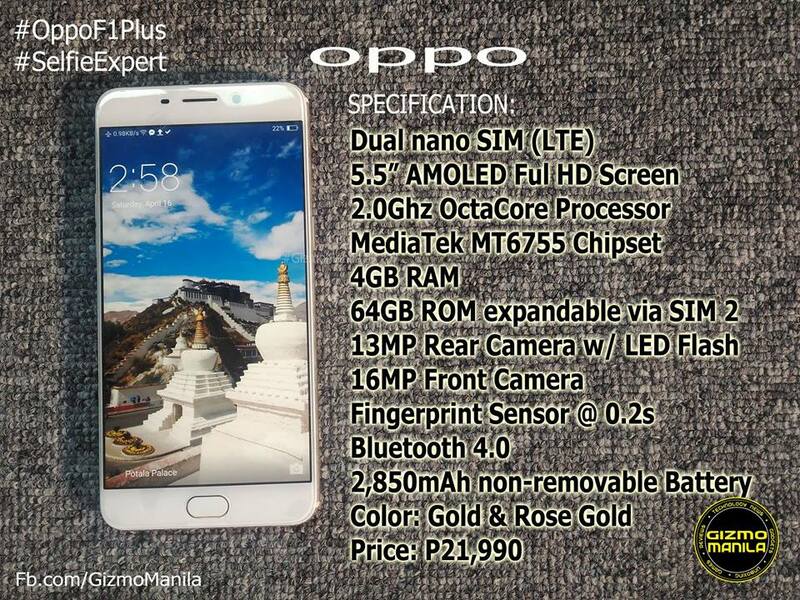 A P1,000 down payment and get FREE Oppo Selfie Stick along with the device when you pick up starting April 30. For more photos about the event, Click Here. For more updates follow us at Fb.com/GizmoManila.